SPIRITUALITY SCIENCE – SEPTEMBER IS SUICIDE AWARENESS MONTH : SIX DIMENSIONS OF HUMAN BEING. THESE ARE, 1.MAN IS A CREATED BEING, AND MAN IS CONSTITUTED AS 2. PHYSICAL, MORTAL BEING, 3. MENTAL BEING, 4. SOCIAL BEING, 5. MORAL BEING, AND 6. SPIRITUAL BEING. September 10 is observed as World ‘Suicide Prevention Day’ and September is ‘Suicide Awareness Month’. To promote Suicide Awareness, I would like to promote awareness of Six Dimensions of Human Being. These dimensions are, 1. Man is a Created Being, and man is constituted as 2. Physical, Mortal Being, 3. Mental Being, 4. Social Being, 5. Moral Being, and 6. Spiritual Being. SPIRITUALITY SCIENCE – SEPTEMBER IS SUICIDE AWARENESS MONTH. SPIRITUALITY IS ABOUT FORMULATING INTERPERSONAL, AND INTRAPERSONAL RELATIONSHIPS BASED UPON SHARED FEELINGS OF TRUST, RESPECT, AND COMMITMENT. 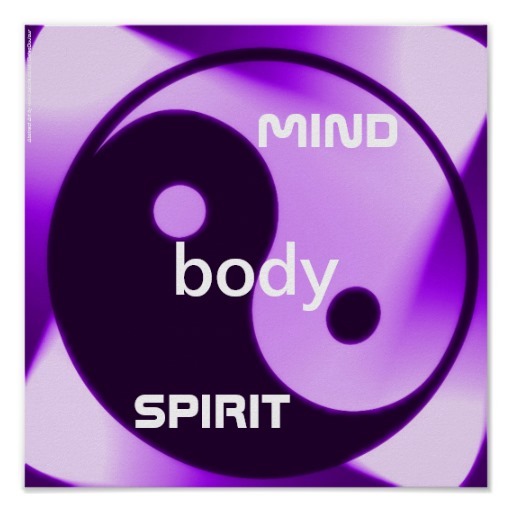 SPIRIT OR SOUL IS VITAL, ANIMATING PRINCIPLE THAT OPERATES ALL LIVING SYSTEMS. Spirit or Soul is vital, animating principle that operates all living systems. Spirituality is about formulating interpersonal, and intrapersonal relationships based upon shared feelings of trust, respect, and commitment. Spirituality Science – September is Suicide Awareness Month.The subjective reality of man’s physical existence is conditioned by his physical, mental, social, moral, and spiritual well-being. If man is viewed as a multicellular human organism, we may have to ask ourselves the following question. Who or What is the subject that lives because of living functions of trillions of individual, independent cells? Man has to explore the biological basis for his existence in nature. The subjective reality of man’s physical existence is conditioned by his physical, mental, social, moral, and spiritual well-being. SPIRITUALITY SCIENCE – SEPTEMBER IS SUICIDE AWARENESS MONTH. MENTAL HEALTH IS ABOUT FORMULATING HARMONIOUS SOCIAL RELATIONSHIPS. SPIRIT OR SOUL IS OPERATING PRINCIPLE THAT DEVELOPS FUNCTIONAL HARMONY BETWEEN VARIOUS CELLS, TISSUES, ORGANS, AND ORGAN SYSTEMS OF HUMAN ORGANISM. Mental health is an important component of total positive health when health is defined as not the mere absence of disease, but as a state of man’s physical, mental, social, moral, and spiritual well-being. Physical conditions and ailments affect mental well-being. Mental health and well-being could have important consequences affecting the physical, and social well-being of the man and may even threaten his ability to maintain the biological integrity to survive as a human organism. Mental health is defined as the capacity in an individual to form harmonious relations with others and to participate in or contribute constructively to changes in the social environment. A living organism has a tendency to maintain normal internal stability by coordinated responses that automatically compensate for environmental changes. Claude Bernard had explained this concept of ‘milieu interieur’ as that of “all the vital mechanisms, varied as they are, have only one object; that of preserving constant the conditions of life.” This concept of homeostasis, maintenance of stability and equilibrium is applicable to man’s existence within a social group. A living thing maintains its individuality while being a member of a social group. Mental equilibrium, and mental tranquility is needed to maintain internal stability and for developing harmonious relationships with others present in the social environment. The different constituent parts of one’s personality should work in harmony so that an individual faces life situations rationally, successfully, and happily. The aim of the positive mental health care is to strengthen and develop well-integrated personality by influencing the behavioral pattern of the individual so that psychological situations are controlled by the individual in a logical, and rational manner. The individual while facing challenging life situations must arrive at solutions without disrupting the physical, mental, or social well-being. Mental health comprises the well-being of the intellectual and the emotional components of the mind. The intellectual breakdown of the individual deprives him of logical and rational thinking. The decisions taken will be faulty if the individual is not capable of logical and rational thinking. Such faulty decisions tend to affect the individual’s well-being. Intellectual breakdown is always accompanied by emotional breakdown. Emotional imbalance affects individual’s reactions. The individual may show inability to cope with life situations. The inability to withstand the strain and stress of the life situations could affect the physical well-being of the individual. The aim of this presentation is to understand the nature of man’s essence and existence in the physical world and to use that information to prevent the problem of suicide. Spirituality Science – September is Suicide Awareness Month. A person with a well-integrated personality acquires high resistance against stress and will be able to react healthily while confronting unwholesome life situations. Resistance against mental and emotional breakdown is built up by the autonomic process of integration of personality. It is the normal process of the growth of personality within the group environs. An individual with a well-integrated personality acquires high resistance against difficult situations. The individual will be able to react healthily while confronting unwholesome life situations. A healthy mind and ability to be moulded in an integrated personality depends upon several factors including the physical, social, and psychological environment in which the individual is growing. It also depends upon the culture patterns and attitudes handed down from one generation to the next. From a very young age, integration of the personality proceeds along with intellectual development and emotional moulding. Children must be given a better chance to develop integrated personalities with resistance against stress. Stress stimuli generate a chain of psycho-physical reactions strong enough to cause manifest effects. Personalities can be divided into 5 types according to their ability to resist strain and stress to master a given difficult life situation without a physical or mental breakdown. The same psychogenic stimulus may not cause similar reaction in all individuals. Each person reacts in a different manner according to the level of preformed stress resistance. GROUP I : Highly stress resistant. These persons have a high level of preformed resistance. They also have ability to develop resistance within a short time when exposed to stress stimuli. This group comprises of people with well-integrated personalities with dominant will power and power of endurance. They carry out the task even while under great stress without experiencing any negative consequences. They successfully master the stressful and difficult situation. These individuals live in good positive health and may not have a preexisting disease condition or a predisposition to such disease conditions that may undermine the physical and mental aspects of their health and well-being. GROUP II : These persons have an average amount of preformed stress resistance. They overcome the stressful situation partially. In the attempt to master the stressful situation and to achieve success the person may suffer from precipitation of internal conditions such as hypertension, coronary artery disease and so on when other predisposing factors are also existing. However, the individual completes the task while facing the stressful stimulus. These persons perform better if they maintain good positive health. GROUP III : These are persons with very low preformed stress resistance. They still have ability to develop resistance on exposure to a prolonged stressful situation. While performing the task under a stressful situation, they may display psycho-somatic symptoms of the overt stress syndrome. GROUP IV : These are persons with no preformed stress resistance. They have a very low ability to create resistance upon exposure to a stressful stimulus. These individuals are more likely to abandon the task which may have exposed them to a stressful experience. They would try to escape from stress rather than attempting to create resistance to stress stimuli. If they cannot escape, the lack of stress resistance is manifested in a variety of bizarre symptoms. GROUP V : These are persons who are non-resistant to stress. They have no preformed stress resistance. They are not capable of favorably reacting to stress producing situation. Their biological existence could be threatened if they are exposed to a stressful situation. They may manifest an overt psychiatric illness apart from the inability to perform a task that could generate the stress reaction. Such individuals must be recognized in their childhood and they must be provided proper environment and psychological counseling. The part played by stress varies in different individuals according to their basic personalities. The factors that impact the role of stress include environmental influences, community with its varied backgrounds of culture patterns and life habits. 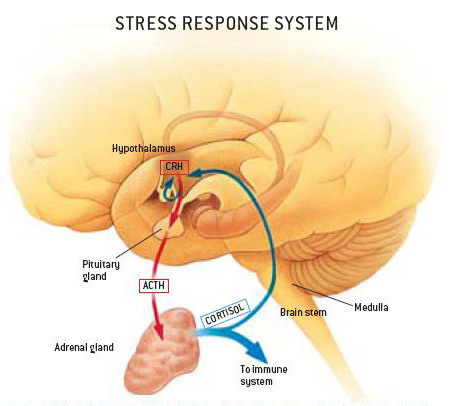 Pre-existent resistance against stress reduces requirement of immediate psycho-physical response. If the problem of suicide is viewed as a stress reaction, prevention of suicide would require promoting the idea of stress resistance. A man’s right to life is a well-recognized principle. Very often, the law would defend a man’s right to life and would condone the act of killing if it is purely intended for purposes of self-defense. Does a man have the right to kill himself or renounce his life? Suicide is condemned by various societies. Major religions like Judaism, Christianity, and Islam oppose the practice of suicide. Attempts to commit suicide are punishable by law in several countries. In the East, some cultural traditions have glorified acts of self-immolation or of renouncing life to resist enemy or to defend personal dignity, honor, or as an extreme measure of self-preservation. 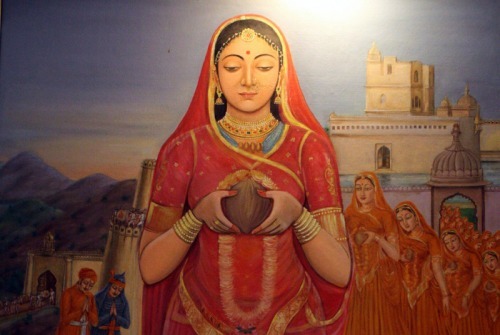 Spirituality Science – September is Suicide Awareness Month.To defend her true nature, to preserve her essence, to resist the violation of her personal dignity and honor, Rani Padmini of Chittorgarh, India had courageously responded to a difficult and challenging life situation by act of self-immolation. Her physical being was destroyed by fire which she had willingly embraced and yet her spirit has survived. She declared Victory over Death and she lives as immortal person in the hearts of Indians and gives them a sense of Pride and Identity. In the West, attitudes have been slowly changing. The law may permit euthanasia or physician-assisted suicide under very special circumstances that affect the quality of life of an individual. Spirituality Science – September is Suicide Awareness Month.While serving as Medical Officer of Indian Army Medical Corps, I provided Comprehensive Health Care to troops and their families. The concept of Fitness to Fight includes both Physical Fitness and Mental Fitness. The goal is to keep troops Fighting Fit at all times and under all conditions that may impose physical, psychological, social, or biological Stress. Indian Tradition has always paid attention to the well-being of all aspects of health and it includes Moral well-being, and Spiritual well-being of man. During years I had served, incidence of Suicidal Death in Indian Armed Forces was minimal. To members of Armed Forces, the problem of suicide is of special significance. The Armed Forces as a military establishment has a very challenging and difficult duty to perform. It has to conserve man-power, keep up the morale of its troops, and retain its fighting abilities and capacities at all times, both during peace and during war. In ethical, and moral terms, Armed Forces believes in the act of killing and accepts inevitability of causing deaths during the conduct of military operations. Armed Forces also actively prepares its members to overcome the fear of death and willingly exposes its members to the risks of getting killed both for the purposes of training and during actual combat situations. A soldier is not expected to kill himself to escape from the stress of his military duty and at the same time he must retain a very high level of motivation to kill the enemy and be willing to get killed in the performance of his task. Armed Forces selects its members with due care and chooses people with preformed stress resistance and further uses training as a tool to build up the stress resistance level of its members. The qualities of valor, duty, and honor define the essence and the spirit of service and Armed Forces members must exist to display their essence. I had participated in the military operations that were conducted in the Chittagong Hill Tracts during the Indo-Pak War of 1971 and I had encouraged men to overcome stress and had promoted the attitude of stress resistance. Kindly refer to my blog post titled ‘The Victory over Death – The Psychology of Warfare. Suicide has become much more common and it ranks as the second or third most common cause of death during adolescence. Suicide is also most pronounced in the older age. The rate of suicide is greatest between the ages of 35 and 75 years with a peak at about the age of 55 years. According to the National Institute of Mental Health, in the year 2007, suicide was the third leading cause of death for young people ages 15 to 24. Among ages 65 and older, of every 100,000 people, 14.3 died by suicide in the year 2007. This figure is higher than the national average of 11.3 suicides per 100,000 people in the general population. Suicide constitutes the greatest risk in manic-depressive psychosis . During depression, or mania, the psychotic individual shows no insight into the abnormal nature of his mood. Depression is a major symptom of neurosis. Attacks of depression are characterized by signs that the person has deep feelings of melancholia( sadness ). The sufferer typically looks unhappy, he feels hopeless and worthless, considers his life a torment. The depressed individual may experience a desire to punish himself by self-destruction and may directly or indirectly express such feelings or thoughts. The American Society for Suicide Prevention posted these warning signs of suicide, and signs of depression :- Unrelenting low mood, pessimism, hopelessness, desperation, anxiety, psychic pain, inner tension, withdrawal, sleep problems, increased alcohol or other drug use, recent impulsiveness & taking unnecessary risks, threatening suicide or expression of a strong desire or wish to die, making a plan, giving away prized possessions, sudden or impulsive purchase of a firearm, obtaining other means of killing oneself such as poisons or medications, unexpected rage or anger. Changes in attitude, personal behavior could be always discovered and the individual who is at the risk of taking his life could be helped by simple observation. Current research nad thinking on suicide tend to view biological, psychological, social-structural, and social-situational factors as interacting with each other. Sociological theories of suicide usually emphasize importance of either the social structure or the social situations, and the cultural pressures that individuals face. Psychological theories emphasize personality and cognitive factors. Spirituality Science – September is Suicide Awareness Month. EMILE DURKHEIM (April 1858 to November 1917 ) is considered to be founder of the French School of Sociology. 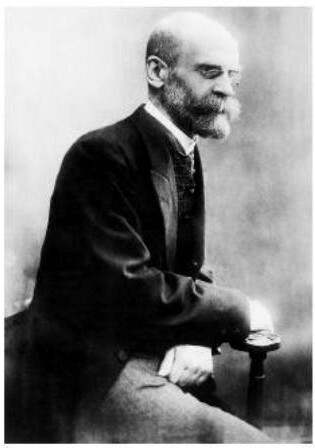 Emile Durkheim in his paper ‘Le Suicide’ published in 1897, had tried to explain the apparent and purely individual decision to renounce life as a product of social forces or ‘social functionalism’. He had introduced the term ‘anomie’ or anomy. Suicide results from the breakdown of social standards that people need to regulate their behavior. A failed society produces in its members a sense of futility, lack of purpose, emotional emptiness, and despair. Anomie is a condition of relative normlessness of a society or social group. It may also mean a state of mind of a person who has no standards or sense of continuity or obligation to maintain his social bonds. The desire to escape depression is the most frequently cited motivation to explain suicide. A personality factor could be involved in persons who believe that suicide constitutes a solution to the problems that they may be facing. The suicide victim’s ideas, beliefs, and ways of thinking have a causal relationship with an underlying personality. The way people view their problems can produce a greater or lesser tendency to depression and suicide. Spirituality Science – September is Suicide Awareness Month. Philosopher, Nobel Laureate Jean Paul Sartre recommended the quest for authentic existence. He had claimed that Suicide is absurd; it is absurd to get rid of what man is(etre-en-soi) as the true subjectivity of man(etre-pour-soi)disappears at the same time. The Existentialists suggest that a person must find a situation in which he finds his true significance. 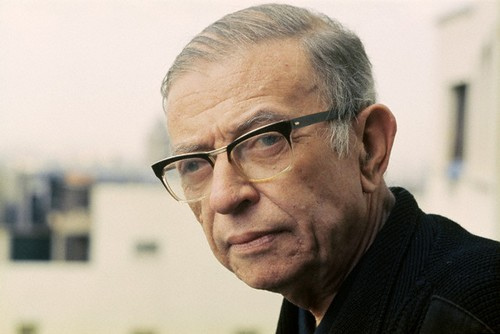 In his Existentialist book, ‘Being and Nothingness’, philosopher and Nobel laureate Jean Paul Sartre divides the being( the existing reality ) into two categories. One category is called being-in-itself(etre-en-soi ) and it may describe the essence of the man, the sum of the intrinsic properties without which a thing would cease to be what it is. The second category is being-for-itself( etre-pour-soi ) which comprises the being that has thoughts, feelings, and consciousness. The being-for-itself exists only when it is supported by the being-in-itself. Existentialists view man in terms of his existing thoughts and actions rather than in terms of his essence. According to Sartre, man’s own existence is always attempting to overcome a radical estrangement between man as the object of scientific study or man himself(etre-en-soi ) and the subjectivity man knows in his thoughts and consciousness(etre-pour-soi ). A man’s life in the world and his social transactions often conceal his true subjectivity. A sense of authentic existence is given to each person when he realizes his true subjectivity as a being that is conscious. Sartre claimed that suicide is a final act of absurdity. Suicide is absurd; for in getting rid of what man is(etre-en-soi ), the true subjectivity of man(etre-pour-soi) also disappears at the same time. There is no single approach that could be expected to succeed in substantially reducing incidence of suicide. 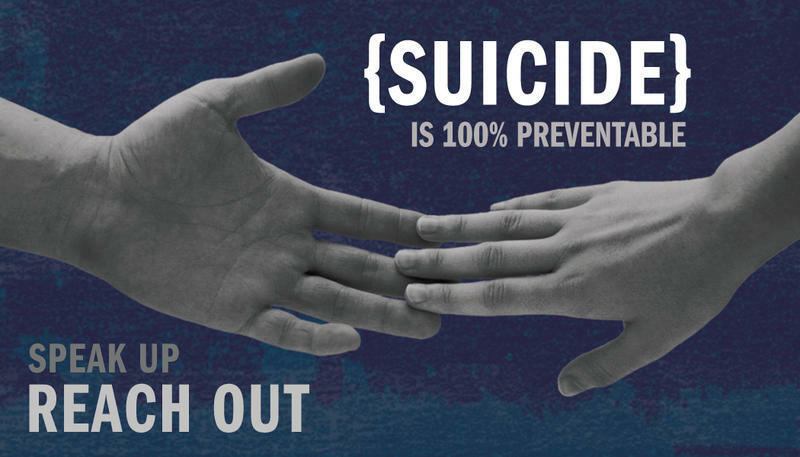 However, it will not be incorrect to claim that suicide is 100 percent preventable. The act of killing oneself or the action called suicide is totally preventable even when suicidal thoughts may not be preventable. If an individual’s mind is engaged in suicidal thoughts, it may not be possible to prevent those thoughts as the thoughts have already originated. I may succeed in preventing the individual from acting upon his suicidal thoughts. As long as man knows his thoughts, and would not let his thoughts overwhelm him, man can lead a normal life even when the mind explores ideas or thoughts about suicide. Spirituality Science – September is Suicide Awareness Month. Suicide is totally preventable if man seeks information about his ‘essence'(true or real Self) and the connection, bonding, partnership, relationship, partnership, association, or ‘yoking’ with an external agency that supports his existence. 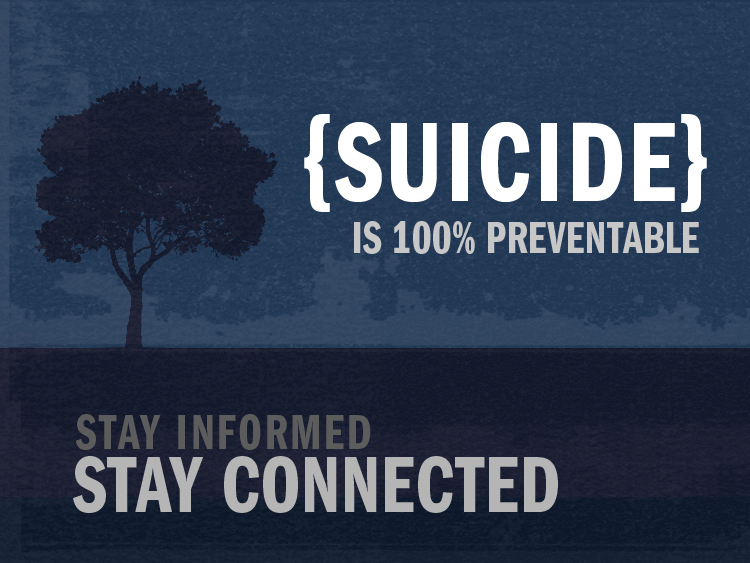 To help prevent suicide, I would like to keep the man informed by sharing the following information, and the man must reflect upon the nature of ‘connection’ that sustains man’s existence in physical world. Existence is the state of being in the world of actuality. Essence is the most significant part of a thing’s nature, the sum of the intrinsic properties without which a thing would cease to be what it is. What is the fundamental nature or quality that is important or essential to define the true substance of the man? To understand human essence, a human being must be defined as a physical, mental, social, moral, and spiritual being. The subjective reality of man’s existence precedes and defines man’s essence. Existence is the first priority and must be preserved if man wants to define his nature or essence. To defend human existence, the physical, the mental, the social, the moral, and the spiritual well-being of man must be defended. As I have mentioned before, Indian tradition honors the man who may define his moral, or spiritual essence by putting an end to his physical existence. That is the only exception to the rule. The rule is; human existence does not depend upon the contents of man’s thoughts, feelings, desires, emotions, self-pride or ego. Man must always strive to rationally understand and evaluate his thoughts, feelings, desires, moods, emotions, and self-pride and should not act upon them to compromise his existence which is truly independent of such factors that impact human life. If I think that I must live for two hundred years, the thoughts about a long life span would not change the basis for my biological existence. Similarly, if I think that I must kill myself, the suicidal thought does not alter the basis for my biological existence. Suicidal thoughts do not describe human essence. A stress resistant individual would have ability to investigate and reflect upon his suicidal thoughts and trace the reason for such thoughts. Stress is a problem that is associated with identity and individuality. The human person is a multicellular organism and man must know as to how the human organism establishes its identity and its individuality. While man seeks to define his essence in terms of his identity, the organism seeks to identify individuality of the person whose existence the cells of his body tend to support. Spirituality Science – September is Suicide Awareness Month. 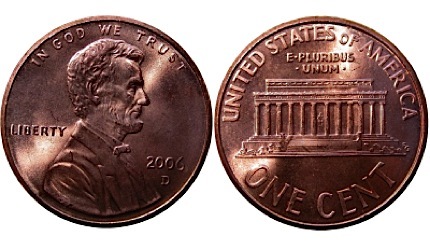 If Essence describes one face of the coin, Existence describes second face of the same coin. Spirituality Science – September is Suicide Awareness Month. If Identity is described by one side of the coin, Individuality is described by second side of the same coin. Mental health is related to the understanding of identity and individuality. We need to understand as to how identity and individuality is established in the multicellular human organism. My mind may define my identity in one manner and my human organism may establish my identity in a different manner. My mind may seek my identity from my thoughts, intellectual information & knowledge, emotions, and false ego. These four aspects of mental activities or functions are named in the Indian tradition as Manas, Buddhi, Chitta, and Ahamkara. These four mental activities are together named as Mano Chatushtayam or AntaHkaranam. Indian tradition asks people to recognize that the true identity of the individual does not pertain to these four aspects of human brain activities. The attempts by man to establish his identity on the basis of his morphological appearance, anthropometric data, biometric information, race, ethnicity, gender, religion, language, or nation/ place of origin have no biological relevance in terms of supporting the existence of that human individual. 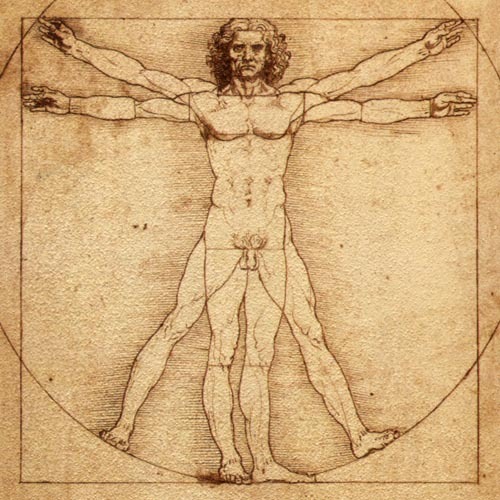 Man exists as long as he has ability to defend his individuality and maintains the integrity of the various physiological/metabolic activities that support the vital functions that impart the quality or condition called Life and keeps the organism living. 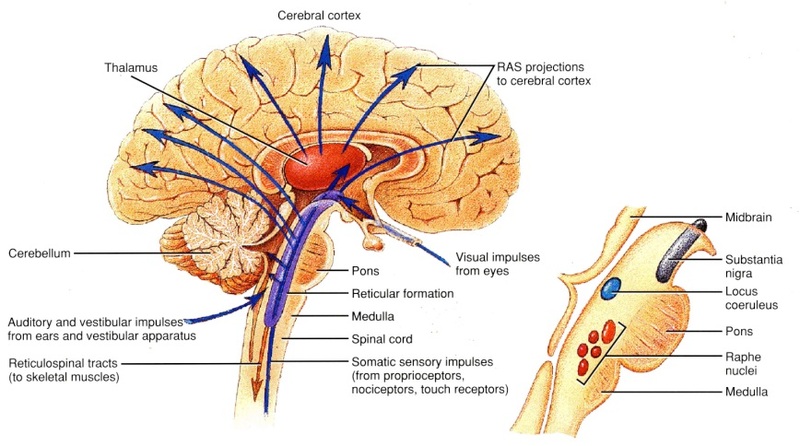 In the human organism, this functional unity is maintained by an anatomical structure called Brain Stem. Man lives as an individual while the functions of the Brain Stem are intact and man dies if functional activity is not found in the Brain Stem. Man can seek any kind of identity if he could maintain the individuality that the Brain Stem supports. Man is free to change his morphological appearance, can change his sexual identity, can change occupation, speak a different language, change his place of residence, practice a different religion or no religion, and can change the nature of his personal relationships with others while he maintains his individuality as a living organism. A man must be always conscious of his individuality which exists as a distinct entity from his mind and its mental activities. A man could be aware of presence of suicidal thoughts engaged by his mind and yet maintain his separation from those thoughts. A man who seeks to exist as an individual will have no problem in resisting his thoughts, feelings, emotions, and mood changes. Such mental activities would not overwhelm or overpower the person. The problem of stress would not go away. However, man can become stress resistant. Such stress resistance from psychogenic stimuli is the key for prevention of suicide. 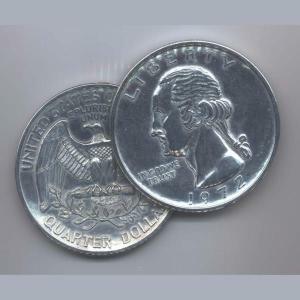 The man who is facing challenging life situations represents just one side of the coin, and on the second side is represented the man who is maintains his individuality as a human organism. 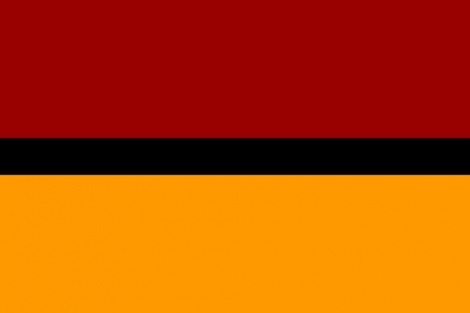 This separation of identity from individuality gives us the scope to make people stress resistant and to avoid the psychological compulsions of suicidal thoughts. When this separation is established, a man would not act in ways that could harm him in body or mind. To promote mental health, to prevent the consequences of mental disease, we need to give the tools to people to understand and define individuality and identity as two separate aspects of the same coin. SPIRITUALITY SCIENCE – THE ART OF SELF-DISCIPLINE AND SUICIDE PREVENTION. THE CONCEPT OF SELF AND KNOWING-SELF WILL HELP TO PRACTICE SELF-RESTRAINT, SELF-CONTROL, AND SELF-DISCIPLINE. Consciousness is not an exclusive psychological function. Consciousness is a biological function that is shared by all living cells which display the attributes such as recognition, sensitiveness, coordination, cooperation, functional awareness, and awareness of external and internal environment and condition. The category that I call ‘SELF’ represents the physical self with various organs and tissues and the mental self which represents mental activities associated with thinking, intellect/knowledge, emotions, feelings, moods, and ego or self-pride. The ‘SELF’ may describe the essence or nature, or identity of the man in terms of the man’s own mental awareness and other people in his environment. The second category that I describe could be called the ‘KNOWING-SELF’. The ‘Knowing-Self’ is aware or conscious of its state and fact of biological existence. It may not always be aware of its external environment. A man who is in a state of sound sleep, a man who is under the influence of drugs, chemicals, or pharmacological agents like anesthetics, or a person with a head injury loses some components of the function called consciousness. However, a man at all times of his living condition is conscious of his internal condition/environment, maintains the state of equilibrium or homeostasis, and supports the vital functions that define his individuality as an organism. The category called the ‘Knowing-Self’ is related to the individuality and in the multicellular human organism this function is served by the Reticular Formation of the Brain Stem which gives the person the ‘Capacity for Consciousness’. Man needs the ‘Capacity for Consciousness’ to compose the ‘Contents of Consciousness’. In the absence of the ‘Capacity for Consciousness’, man has no ‘Contents of Consciousness’ and could be declared dead if the function called ‘Capacity for Consciousness’ could not be sustained. The ‘Capacity for Consciousness’ is essential for man’s biological existence. The ‘Capacity for Consciousness’ is required for man to exist as a moral and spiritual being. Man exists with an intrinsic ability to discern right from wrong, and exists because of his spiritual nature which gives him the ability to acquire energy for his various metabolic, living functions. The category called ‘Self’ may experience all the difficult, and challenging situations posed by life, and the category called the ‘Knowing-Self’ is not subject to these sensory or mental experiences that impact the ‘Self’. Man must recognize that his biological existence depends upon energy acquisition. Man leads energy-dependent existence and must acquire energy from external sources right from the beginning of his life journey from moment of conception. Man does not acquire this energy because of his intellectual effort, or acquired knowledge. The ‘egg cell’ that is fertilized is conscious of its energy dependence and it implants itself into the tissues of the mother who may not be mentally aware of this process called implantation by which the human embryo starts deriving its energy from its mother. This embryo grows and develops into a complex, multicellular organism and continues to derive energy from external sources. This ‘CONNECTION’ between the energy-seeker, and the energy-provider could be called ‘GOD CONNECTION’. Man has no ability to establish this kind of energy acquisition for his survival. If Sun is viewed as the source of extraterrestrial or Cosmic Power, the Solar Energy is trapped by chloroplasts found in the cells of all green plants. This energy is further made available to man by presence of intracellular organelles called mitochondria which are described as the powerhouses of the cells. Man has no direct control on the nature of this ‘Connection’ and its operation. Man simply exists as there is a Provider for his energy requirements. In good health, or ill-health, under all circumstances and conditions, and during all the stages of his mortal existence, man needs this grace, mercy, and compassion to keep himself alive. This is a supernatural mechanism, or a ‘God Connection’ that supports man while he leads his energy dependent existence. Man who experiences this compassion, mercy, and grace that is sustaining his life would derive a sense of joy and experiences the condition called true happiness. A man who has discovered true happiness cannot experience a mood called depression. It is really hard to kill oneself while the man is connected to a source of Happiness. Man must experience this sense of Joy and Happiness and realize its uplifting power to alter any depressed feeling or mood. If pain is an inevitable aspect of human life, compassion is also an inescapable aspect of human existence. If pain is true, compassion is also equally true. I invite people to find Compassion, Mercy, and the Grace of the Divine Providence in their lives. It would be irrational or absurd to break the God Connection by the act called Suicide.